Welcome to Foodie Friday Link Party 67! We’re so glad you’re here. 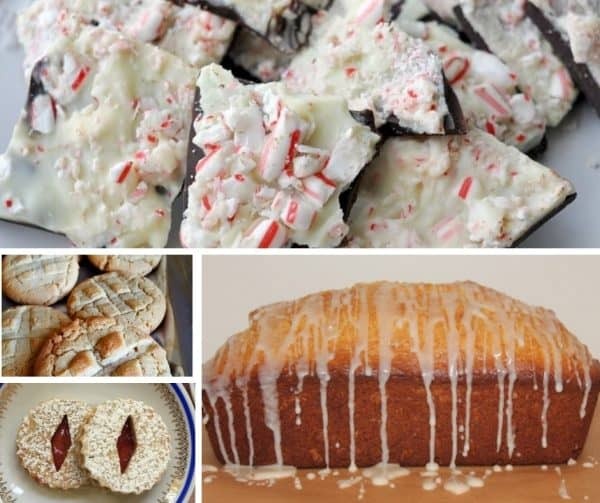 We have some great recipes this week, from scrumptious cake to favorite family cookies, to Christmas-inspired peppermint bark. There are quite a few Christmas recipes and they are all a lot of fun to choose from. These are the times we get out our family recipes and cherish the moments we spent making the treats and memories with our loved ones. The holiday season is always a time for candy canes, chocolate, mint, and so many delicious treats. 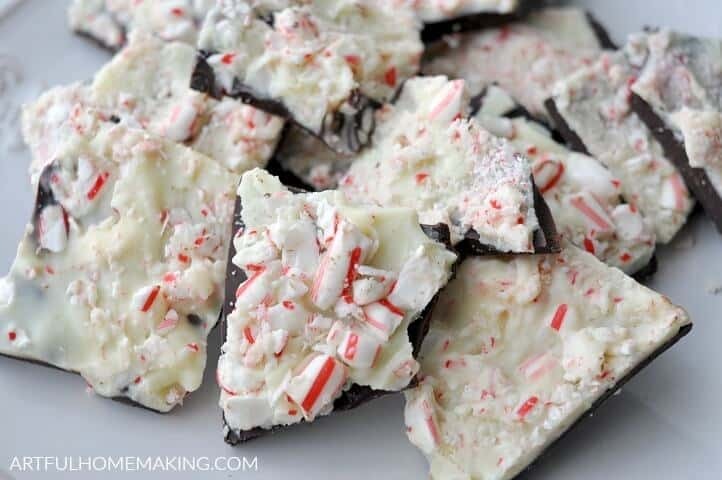 This peppermint bark is the perfect way to kick off the season. Y’all know this eggnog cake is going to be absolutely divine. 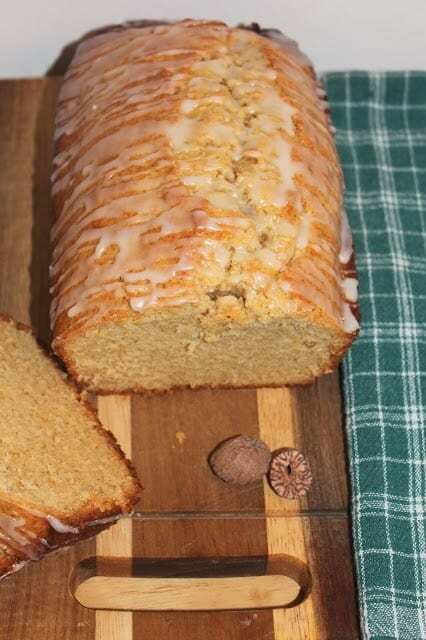 I can’t get enough eggnog this time of year, and the combination of a glaze, eggnog, and loaf cake can’t be beat. 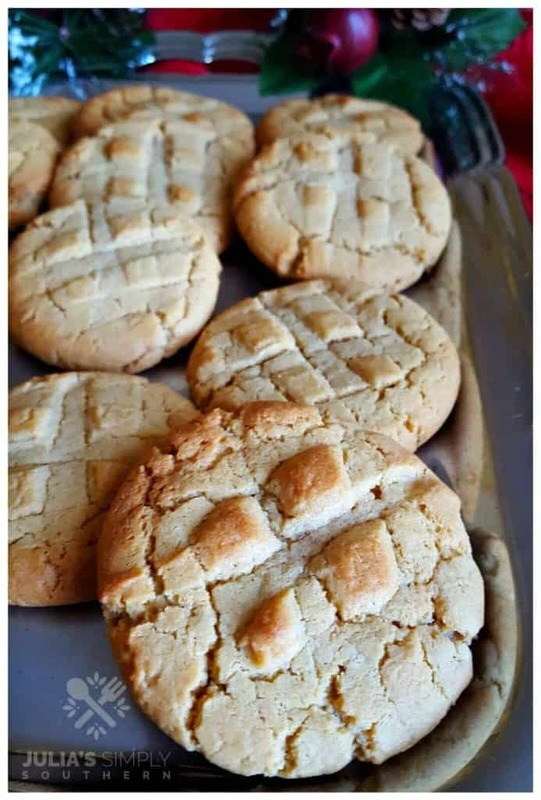 I sure wish I could reach through the screen and grab one (or five) of these peanut butter cookies. They are rich, made with love, and full of peanut butter goodness. Linzer cookies are a buttery treat that pops with jam flavor. The cookies are a beautiful addition to any Christmas table setting. Be sure to head on over and check out the recipe, plus Pesto for Pennies little helper. Hi Marilyn! Thanks for always sharing your wonderful recipes. Enjoy your weekend. I’d gladly share a tray of peanut butter cookies with you, Julie 🙂 I’m thrilled to have them as one of the featured recipes this week at Foodie Friday. Thank you! 🙂 They look so delish. Thank you for hosting each week, and for featuring my peppermint bark recipe! Happy holidays! Hi Joy! Thanks so much for sharing it with us. Yum, yum, yum! I love all these festive goodies! Thanks for featuring my eggnog cake! Aren’t they fun?! Your cake looks amazing!! Julie, Thank you for another party. We appreciate you so much. You’re welcome! Thanks so much for coming. So many fun holiday recipes here! Hope you have a wonderful week! Thank you, Amy. You have a wonderful week, too! You have so many fabulous recipes in your party. I have many I plan to make. I’m thrilled to be included in Foodie Friday as a featured recipe. Thank you very much! So glad you are a part of Foodie Friday! Thanks for coming by.